Viktor Mitevski was born in Skopje in 1990. From his early ages he has expressed his interest towards leadership and Civil Society activism. In his early teenage years he has engaged at the youth organization called “Children’s Parliament of Macedonia”. Soon after his enrollment he became responsible for the international collaboration. The experience he gained during these years played a significant role in his further development. In 2006 Mitevski joined the “Boris Trajkovski International Foundation” where he has served as a volunteer for more than 6 years. During his work he has gone through all the levels of the Foundation, starting as logistics volunteer and finishing as a Program Coordinator for Youth and Culture. The work at the Foundation has not only helped Mitevski experience and practice all levels of leadership and management, but it has also given him the opportunity to make a lot of contacts with present and former political and business leaders from all over the world. Through these contacts he has managed to attend high-valued and very respectful International Leadership Seminars and Conferences. In the summer of 2008 Viktor has attended the “International Youth Leadership Conference” in Malibu, BC, Canada. The Conference was attended by more than 330 participants from 33 different countries of the world. In the autumn of 2009 Mitevski was recommended to attend the “National Student Leadership Forum” in Washington DC. He was the first Macedonian who attended this Forum. Viktor Mitevski holds a BA degree in Financial Management from the Faculty of Economics in Skopje at the St. Cyril and Methodious University. Currently he is engaged at a Master Program in Statistical Methods for Business and Economy at the same Faculty. Mitevski’s main interests are business planning and quantitative economic researches. During his third year of studies, together with two of his colleagues, he won the first price at the Fifth National Business plan Competition organized by NCDIEL and The Austrian Development Foundation. Currently he is one of the three owners of the newly formed enterprise “VAM Bidi Viden DOO”. 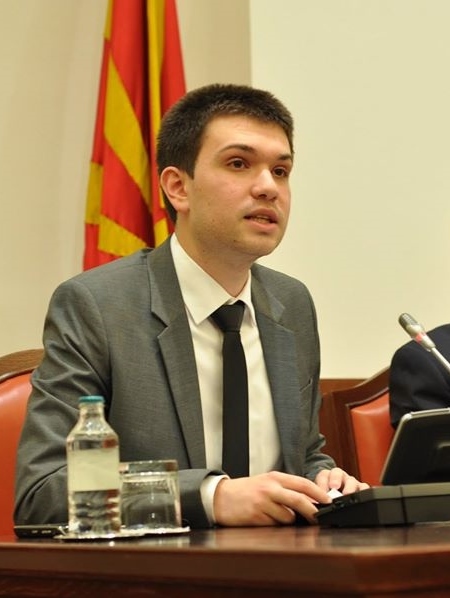 Mitevski has been elected as the first President of the Summer Work & Travel Alumni Association Macedonia at the founding Assembly on 19 January 2013. He is a SWT alumni from 2011. He worked as server at the beautiful mountain golf resort in Virginia called Wintergreen Resort. The SWT experience has changed his life and made him believe that only through honest and hard work a young person can achieve significant thing in life which would bring prosperity not only to him, but also to the society in general.